What has happened??? The US government had been shut down for some time now. I know, I’d say it is slightly alarming. Let’s start from the beginning. Basically, Trump requested about $5 billion to fund the wall on the US and Mexico border. However, this request was denied. So, then Trump decided to shut down the government until he got what he wanted, this happened on December 22. 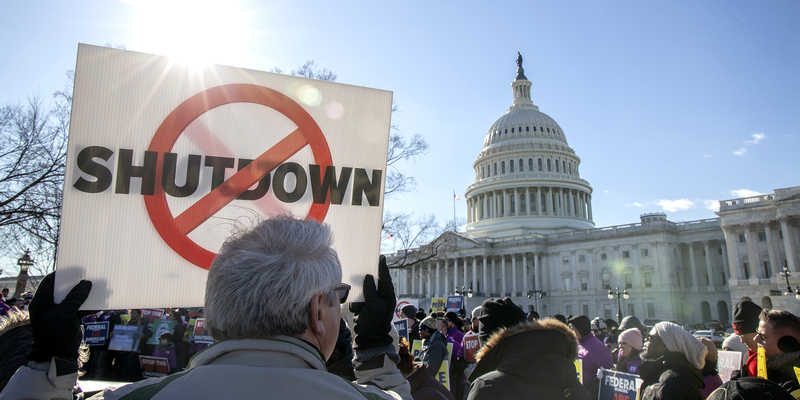 What exactly is a government shutdown? Typically, government shutdowns usually occur when there is a lack of funding. And, this lack of funding usually happens because of a delay in the approval of the federal budget. However, the shutdown we have now is a different case, it’s because of Trump not getting what he wants and shutting down the government until he does. The shutdown is still ongoing, passing 25 days! In my opinion, it shouldn’t be down for this long. The longer that they keep the government shutdown like this, different programs will probably close down, more people will lose their jobs, and the US economy won’t be at its best. We are waiting either for Trump to cave in and open the government back up again without the funding, for the Democrats to cave in and agree with helping to finance the border, or the Republicans to cave in, get with the Democrats, and pass a spending bill to fund the government and get it back on its feet without Trump’s approval. Which one will it be? Well, we’ll have to wait for that….